for 65% Off its regular price!!! How's this for an awesome deal? To receive your coupon code, Click the button below and enter your email address. Go for it with Go Sport-it's Long Leggings! OUR LEGGINGS FOR EVERY OCCASION! These tights will surely get you going. With its super comfy fabric, this will be your new favorite full leggings! 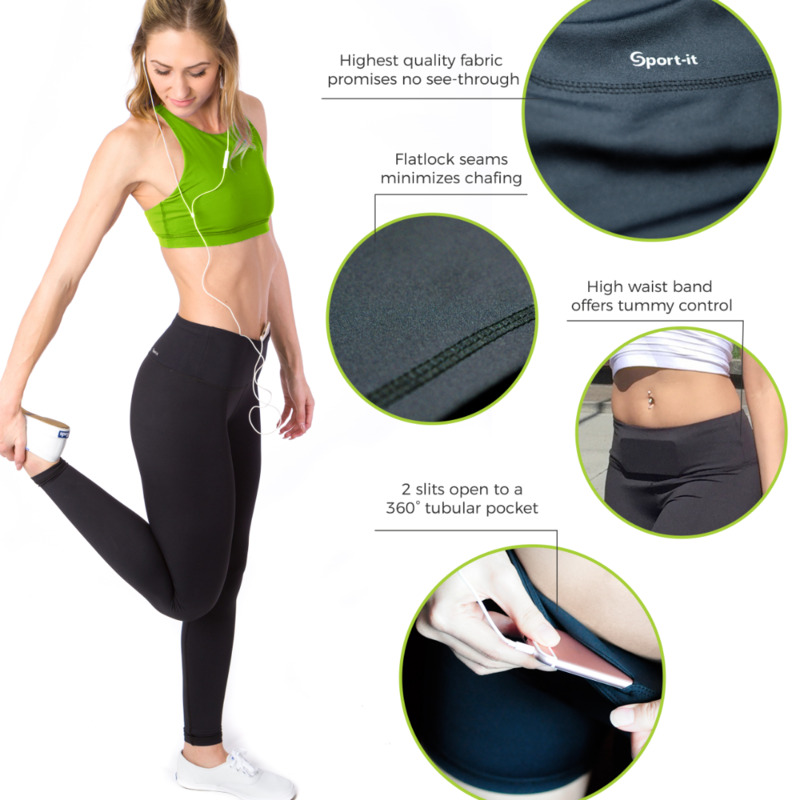 These leggings come with the killer feature our customers have been raving on and on – Go Sport-It's signature waistband with slight compression! Integrated with two inner slits at the front that opens to a secured 360° pocket, it offers a whole lot of space for huge phones, keys, cash, etc.! FOR ALL REAL WOMEN. EVERY AGE, SIZE, AND SHAPE. Sport-It celebrates every woman who decides to take a step closer to fitness. Whether you run a marathon or walk the dogs, you'll find comfort in our products. We stick to basics because we believe that simplicity is the ultimate sophistication. Also Available in Three Other Colors!